For centuries science has shaped our view of understanding the world. And it has told us that men and women are fundamentally different. That women are more emotional, gentle, empathetic and suited for raising children. Men are apparently validated by science to better at logic, reasoning and motor skills. But that isn't the full story, says Angela Saini's book shows. It illustrates how science itself has been shaped by sexism too. 'Inferior: The True Power of Women and the Science that Shows It,' published last year, challenges many of the fundamental assumptions about our world. And now its being sent to every secondary state school in Britain. Two of its fans, Dr Jess Wade and Dr Claire Murray, have raised over £21,000 online to do just that. "Unfortunately, we live in a society of stereotypes that are holding girls back," they wrote in the fundraiser. They added: "We meet too many girls who, despite being brilliant, are not confident, and are unsure of their own potential to become scientists." In Britain, women only make up a fifth of physics A-Level students and a quarter of undergraduate students. Only a tenth of physics professors are women. They wanted to raise enough to send a copy to every school, and help teachers identify local women scientists. Inferior won Book of the Year award by the UK Institute of Physics earlier this year. She writes in the book: "Periods are a perfect case in point. It’s no surprise that menstruation was ignored for so long when men didn’t experience it. It’s only fairly recently that women’s health has soared up the agenda." "Until a few years ago, it was routine for women not even to be included in clinical studies for new drugs." 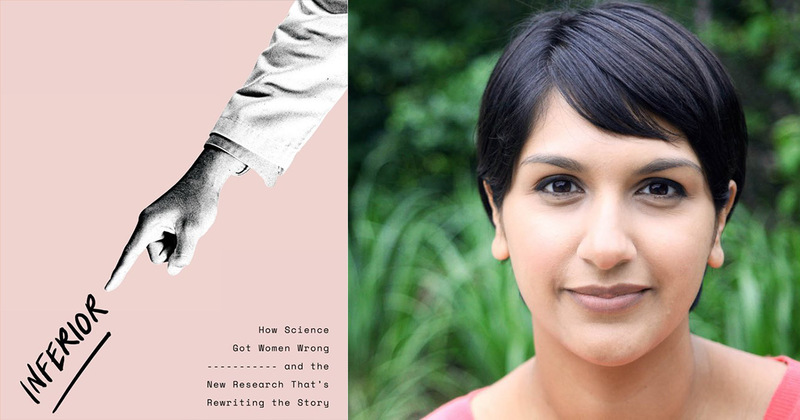 Angela Saini's first book, 'Geek Nation: How Indian Science is Taking Over the World,' was also received with critical acclaim. "If we catch children early, we can achieve enormous change. I don’t think anyone is born with prejudices." That hotly anticipated book will be out in 2019 from Fourth Estate.